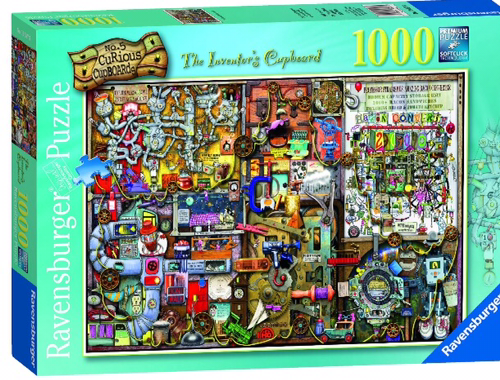 The Inventors cupboard is a 1000 piece puzzle from Ravensburger. The artist is Colin Thompson from London. It’s a really complex/mind blowing puzzle as there is just so much going on. The picture shows an enormous cupboard full of machines and strange contraptions. There are robotic parts, lots of wires, pipes, tools, machines, a strange bed explaining the history of time, clockwork car, steam engine, telescope, time pieces, and even some curious creatures all in the one cupboard. 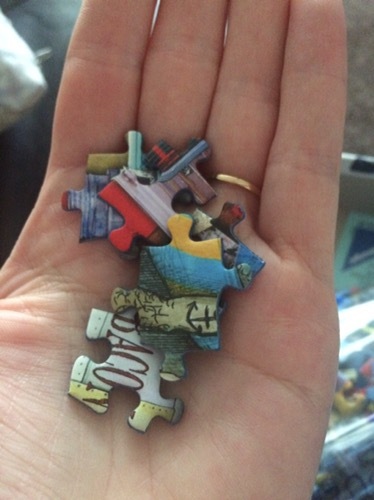 The puzzle pieces are not quite as small as I thought they would be but there seems to be so much detail on each piece that it can be difficult to find which piece fits where. 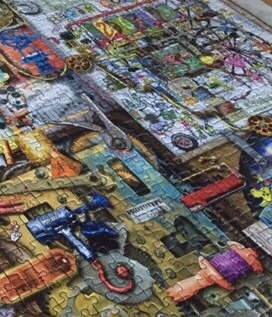 As there is so much on the puzzle its hard to sort the pieces into any sections too, as usual it’s best to start with the puzzle sides. 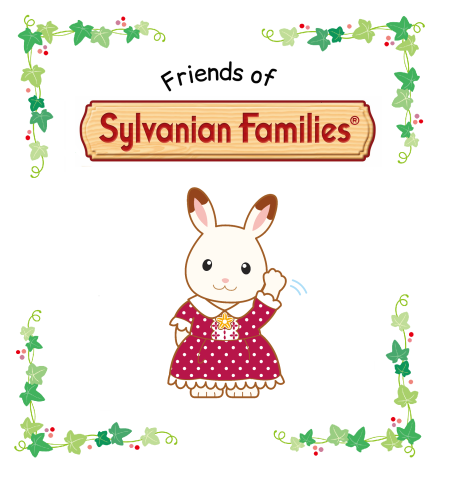 I am currently about half way through this puzzle but it’s certainly taking me a while to finish it. 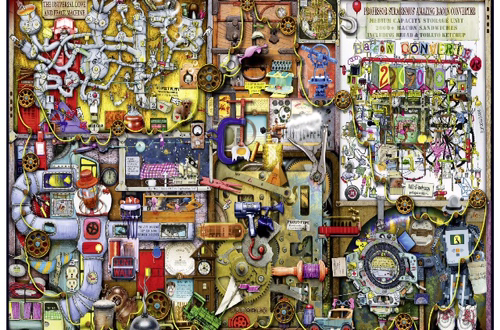 I have spotted The Inventors Cupboard Puzzle on Amazon for £11.02.